Note: (i) Principals are requested to verify the eligibility of the candidates for registration for examination in respect of malpractice/ court cases/ credits. 2. APPLICATIONS CAN BE OBTAINED AT THE OFFICE OF THE RESPECTIVE PRINCIPAL’S OF THE RESPECTIVE COLLEGES AND DULY FILLED IN APPLICATIONS SHOULD BE HANDED OVER IN THE RESPECTIVE COLLEGE OFFICE WITH NECESSARY FEE. 3. The Principals are requested to submit the filled in applications to the Controller of Examinations (UG), J.N.T. 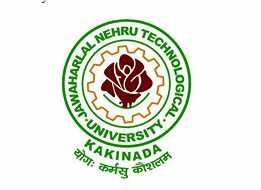 University Kakinada as per schedule given below. 4. Lab Examinations will be conducted after completion of the theory examinations and dates shall be intimated soon. 5. All the above Examinations will be conducted in jumbling system. Fine) is to be made through Online Link provided in the portal on 23.02.2017. After Payment a “Payment Form” will be generated which is to be printed. per the Schedule given below.